Although it is possible to analyze the African TV market in its entirety, the free-to-air satellite dominated countries of North Africa mean that the sub-Sahara is essentially a distinct TV market in its own right and remains one of enormous potential. READ THE REST OF THE ARTICLE NOW! These issues will be discussed at AfricaCast, the premier event on the broadcasting industry in Africa. AfricaCast is once again co-located with AfricaCom, the largest community event in Africa. Register now for a free exhibition pass and you will be able to network with 7,000+ attendees, all sharing their vision for a digital Africa. 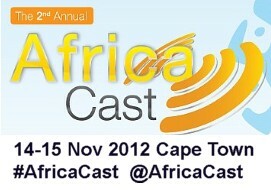 What is new for AfricaCast Conference 2012? AFRICACAST IS FREE FOR AFRICAN SERVICE PROVIDERS AND BROADCASTERS! REGISTER NOW!